Former prosecutor Katsuhiko Kumazaki was confirmed as Nippon Professional Baseball’s next commissioner on Thursday at an extraordinary owner’s meeting. “I get the feeling this is going to be a sobering experience, what with all the heaps of issues we have at the moment,” the 71-year-old attorney said. Kumazaki, who will assume his new post on Jan. 1, replaces Ryozo Kato, who resigned in October due to the fallout from the scandal that erupted when his subordinates changed NPB’s ball and tried to conceal the change from the commissioner, players and teams. 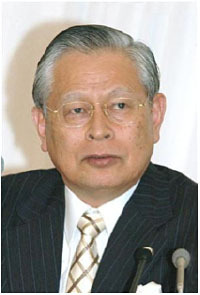 Since 2005, Kumazaki has been an advisor to the commissioner.